The Easter season is upon us, and I feel overwhelmed by all there is to address. The resurrection of Jesus Christ is the centerpiece of Christianity. It has tremendous implications for everyone, because if Jesus really did rise from the dead, then that proves that he really is the Son of God, and that all that he said was true, and we are obligated to respond accordingly; on the other hand, if he didn’t rise from the dead, then the Christian faith is entirely false and pointless. So this month, instead of trying to address every minute narrative and theological detail of Christ’s Passion, I’m simply going to focus on a few small sections of the Passion accounts, as recorded in the canonical Gospels. 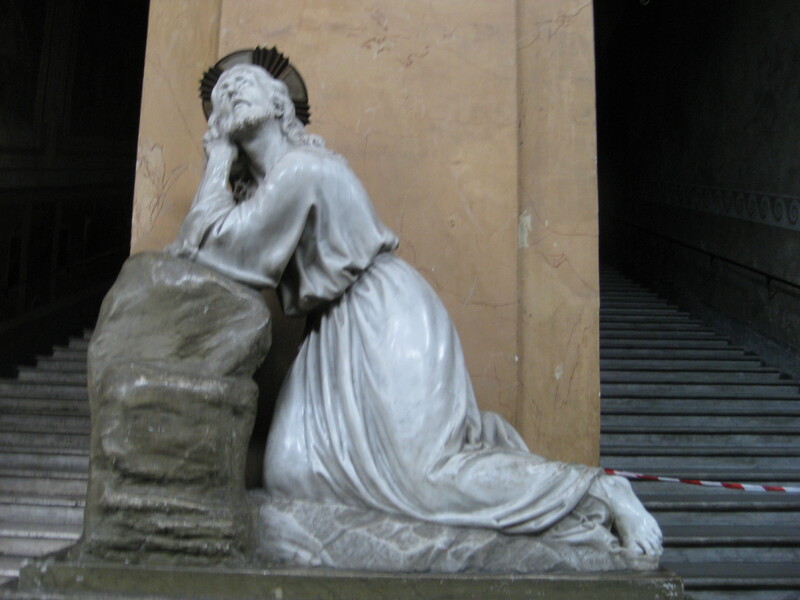 First, I’ll be reflecting on the episode of Jesus in the Garden of Gethsemane. 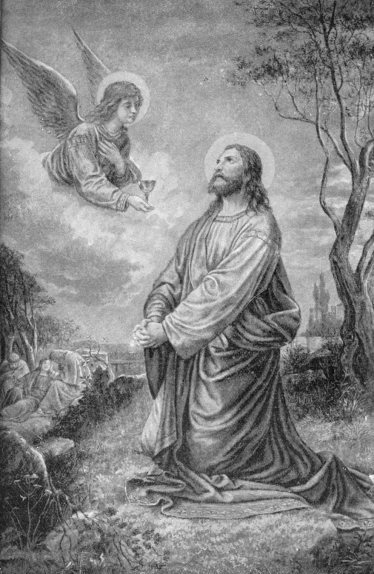 To me, the picture of Christ in the Garden, just before his arrest, is the most human we ever see him. 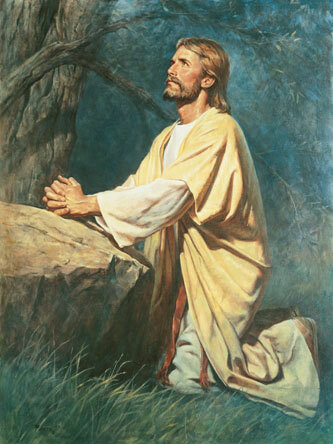 In this moment, we see him literally collapse to the ground in agony, sweat blood, and plead with the Father to let the cup of suffering pass him by. This is the most tortuous moment of Jesus’ life thus far. Where’s the anguish in his face? Where’s the struggle? An advantage that sculptures have over paintings is their three-dimensionality. They occupy real space, can usually be viewed in the round (or at least from more varied perspectives than can a flat figure in a painting), and are tactile (which still means something even though you’re not supposed to touch them). 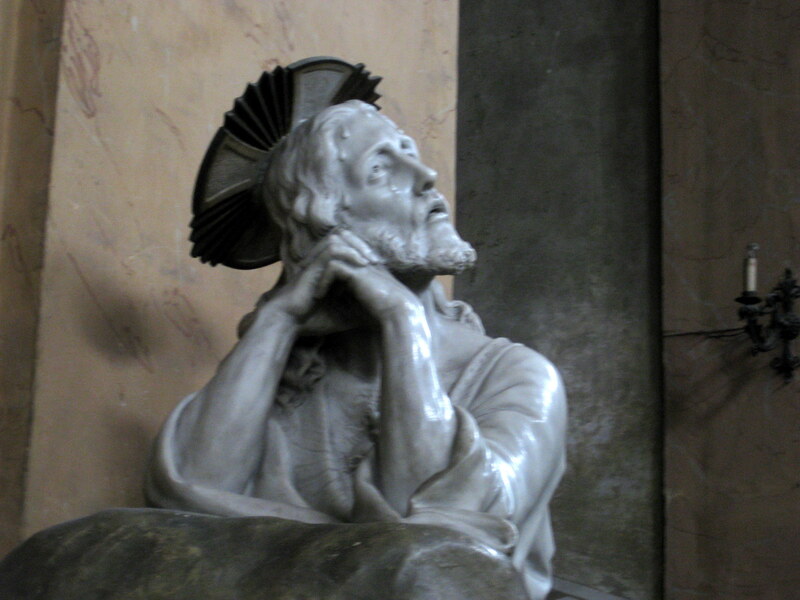 I suppose I like this anonymous Jesus sculpture so much because, well, the medium alone makes him seem more present, but more than that, I’m really fixated on the teardrop under his right eye. My eyes are drawn to that watery sliver more than they are to the thick globules of blood sliding down his forehead. Perhaps because I can identify with that teardrop. Of course I’ve never experienced anything that could even come close to comparing to the agony Jesus experienced that night in the garden. But I have experienced sadness, pain, and desperation in my own little ways. It’s a comfort to know that while on Earth, Jesus felt the full gamut of human emotions, including heavy sorrow, yet he never let his emotions own him; he was always clear-headed and focused on one thing, which was glorifying the Father, no matter what that entailed. And this divine strength he possessed, this long-term vision, he gives liberally to all those who call on his name. For the next few weeks, please join me in reflecting on the sufferings of Jesus in the garden and on the cross, which he so lovingly endured so that you and I could be reconciled to God. 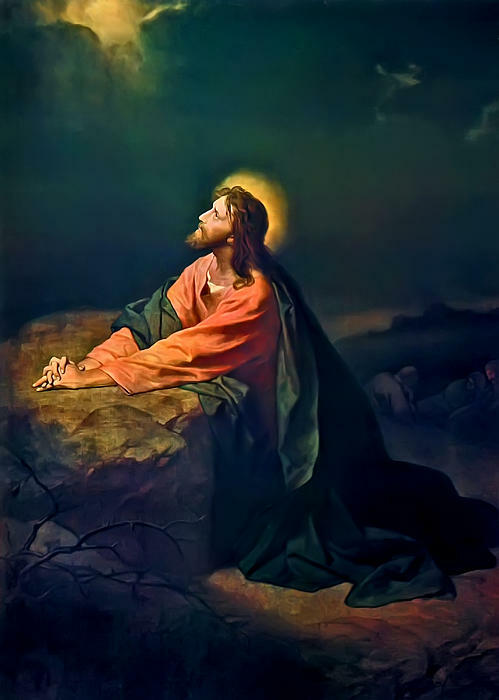 This entry was posted in Western Art and tagged Jesus in Gethsemane, Passion Week, suffering of Christ. Bookmark the permalink.